Homes for sale in Sea Palms Jupiter FL. Search all homes for sale in Sea Palms Jupiter fl real estate with photos, videos, including Sea Palms Jupiter FL HOA info. 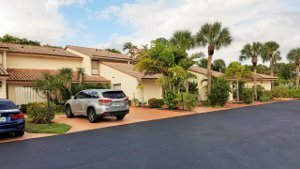 Jupiter Florida real estate Sea Palms is a townhome community in Jupiter adjacent to a beautiful garden bursting with flowers and trees. Jupiter Florida real estate in Sea Palms offers easy access to sandy beaches and the ocean and are mere minutes from your front door. Homes for sale in Sea Palms feature a stylish wood-frame construction with red tile roofs and stucco exteriors, and they are close to Jupiter’s wide offerings of shops, restaurants, and entertainment. Real estate in Sea Palms is made up of only 48 one- and two-story townhomes. Sea Palms community is one of just a few along the beach that has garages. Choose between 2 and 3 bedrooms, with living space that ranges from 1,250 to 2,100 square feet. Each townhome has a cozy patio that branches off from the living room and master bedroom. A vaulted ceiling gives the living room a spacious setting and an eat-in kitchen. Pet owners are permitted two furry friends that weigh below 25 lbs. The community of Sea Palms has a private clubhouse for residents, as well as a swimming pool to relax with neighbors and friends just steps from the comfort of your home. 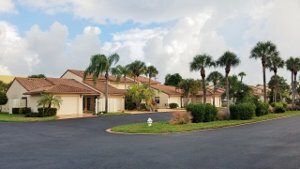 Sea Palms Jupiter FL HOA covers most all of your normal living expenses such as: Cable, Common Area Maintenance, Roof (repairs and maintenance), Paint, Pest Control, Trash Removal, Water, Sewer, Reserves, Pool Sevice, Building Insurance. Monthly cost at time of this writting is $434 per month. Residents of Sea Palms homes have access to a number of recreational activities. Carlin Park’s beachfront is within a very short distance, and in addition to the sandy shore, it also boasts playgrounds, saltwater fishing, heart fitness trail, sports courts, and picnic areas and it's own outdoor pavilion for shows and entertainment for all. Visit Jupiter Dunes Golf Club to practice your skills, or have a more casual afternoon of mini golf at Lighthouse Cove with alcohol available. For a night of live performances, just across the street at The Maltz Theatre features seasonal lineups of plays and musicals and is already approved for an additional 32 million dollar expansion plan and improvements. Cinepolis luxury cinema provides a setting to watch movies in style, with reclining leather seats, a full bar, premium concessions, and in-theater service. 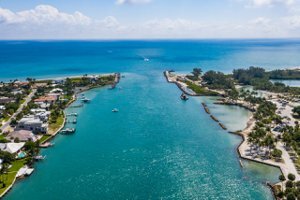 Head on down to a local favorite, Castaways which is also known as The Square Grouper for a relaxing time with a beverage of choice and sit by the azure blue Jupiter inlet and watch the luxurious yachts stream on by. Or, head on out for a day of charter boat fun with world-class fishing moments away. 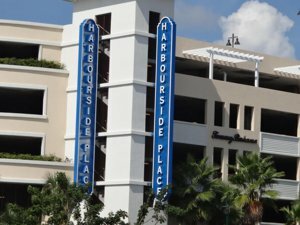 Nearby Jupiter shopping center, which has a Publix grocery store, is a convenient place to pick up weekly essentials or find a spot to grab lunch with friends. Physical fitness enthusiasts will find a large gym to work up a sweat. Palm Beach Sport Clubs offers many group training classes such as yoga, cycling, Zumba and personal trainers. Other options include nearby restaurants featuring fresh seafood, in addition to cuisines from around the world. Whether you are looking for a casual brunch spot or an elegant evening meal, there is a place near Sea Palms real estate. 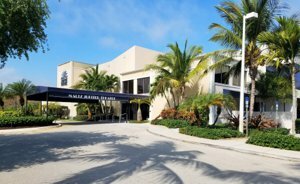 Traveling in and around Sea Palms is easy thanks to its location near the main highways of A1A and Interstate 1. 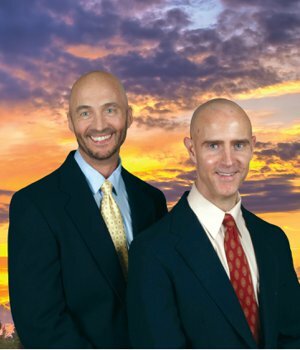 Residents of Sea Palms are served by the School District of Palm Beach County, which has top-ranked programs. For alternative education, there are also private schools in the area.